I know that brevity is important to you. I am trying to choose the most apt words to express this question of mine. Please bear with me. Was there a promise of everlasting life in heaven to Adam had he not committed sin? Since Adam knew that he was going to die, was he expecting to be resurrected to join his Maker, our God, in the heavens when he wasn’t committing his erroneous act yet? When God created man, was it already part of His plan to resurrect man and change his physical body in His time so that man could live forever with Him in His Heaven? These questions pop up unintentionally in my mind when I heard you preached about Adam having known that he’d die. I really thought before that hadn’t Adam committed sin, he could have lived forever on the earth. That belief has been changed when I heard the words of God through you. Glory be to God. Our love and regards to you and your fellows. Reality and the bible makes up the truth that we have to discern.God’s word in the Bible is truth. Reality is truth but, divided into two:Physical or ‘seen’ reality and spiritual or ‘unseen’ reality. There are angels, spirits, demons, and a host of other spiritual beings that exist in reality. There are physicists that do not believe in the existence of spiritual beings but, there unbelief does not make this reality a fiction. You may have heard the term “the spirit of the glass” and “hypnotism“.The glass moves and conveys a message by an unseen force, proving that there is a supernatural power that moves it.Hypnotism works among people especially among those who do not believe in the gospel, and a person can be hypnotized by someone many miles away.In fact, hypnosis is being utilized in clinics around the world to treat or calm hysterical patients.These acts are prohibited by the Bible. God condemns these demonic practices. God is a spirit, and He knows that flesh and physical things has their limit.Science has understood the wearing of physical things through the process of oxidation. 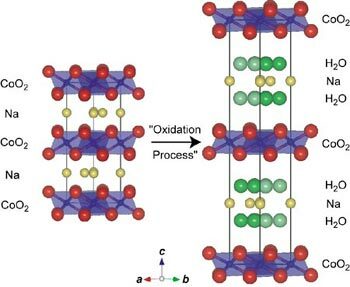 Oxidation is the interaction between oxygen molecules and all the different substances they may contact, from metal to living tissue. Sometimes oxidation is not such a bad thing, as in the formation of super-durable anodized aluminum. Other times oxidation can be destructive, such as the rusting of an automobile or the spoiling of fresh fruit. God knows, when He created the body of Adam, that it can not exist for eternity. God taught Adam the fact that there is eternal life.He will die the day he eats of the forbidden fruit. (Genesis 2:17) “But of the tree of the knowledge of good and evil, thou shalt not eat of it: for in the day that thou eatest thereof thou shalt surely die. God is a spirit (John 4:23-24) and speaks of spiritual things.When He said that on the day Adam eat of the fruit he will surely die, He does not speak of the physical body of Adam.Evidently, Adam lived for nine hundred fifty years. While the flesh or the body of Adam lives, his real being has died in the presence of God. God speaks of those physically dead, but living in His sight, and those that live physically but, are dead in His sight. Of course, God is the best one to know who lives and who are dead because He sees the spiritual and physical side of reality. Physical reality suggests that everything physical known to man has its limits of existence.Science knows this for a fact.Oxygen gives life to the flesh of man, but would you believe that the word of God gives life, also? Think about it and you will know why Adam died long before his flesh did.